Lady Gaga knows how to make a fashion statement, and the look she wore to be honored at Elle magazine's Women in Hollywood event on Monday spoke volumes. 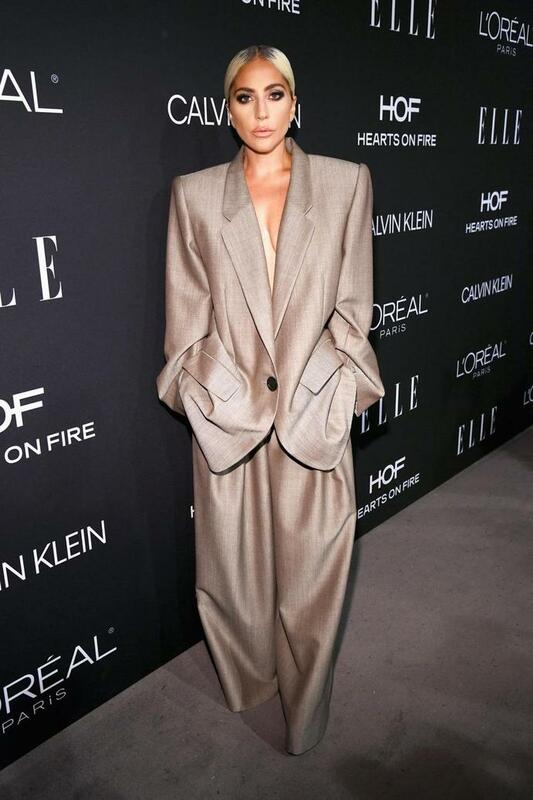 Dressed in an oversize Marc Jacobs "power suit" from the designer's recent spring 2019 collection, Gaga took the stage to deliver a highly personal speech. In addition to confirming her engagement to Christian Carino, she spoke about her own experiences with sexual assault at the age of 19, her struggles with chronic pain and mental health, and how she's finding her voice as a woman in Hollywood today. "We are not members of a giant beauty pageant meant to be pitted against one another for the pleasure of the public," Gaga said. In an effort to "take the power back," and "resist the standards of dressing to impress," she chose to wear pants instead of a dress. Below, an extended excerpt from her speech that explains it all. "What she means by 'smoke it out' is not what I'm doing right now."